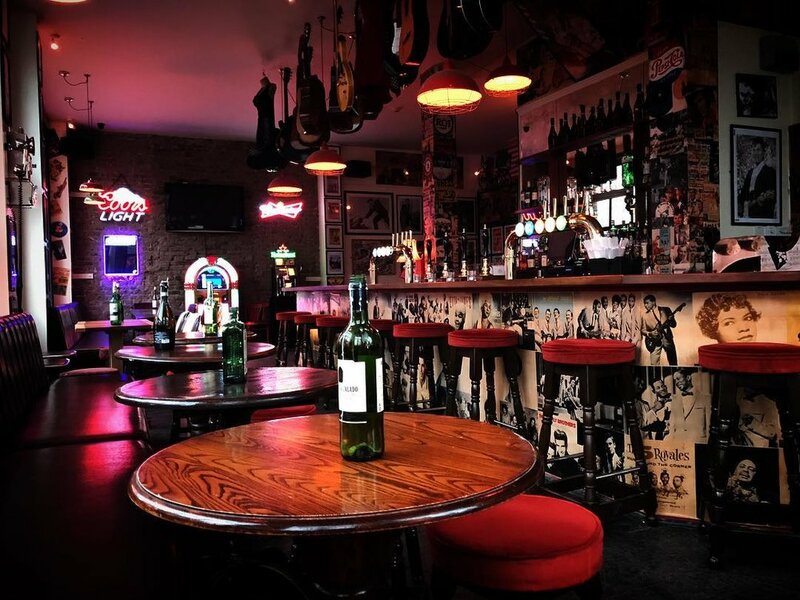 Be-Bop-A-Lula, a 1950s rock ‘n’ roll themed pub is to open on the 1st December at Green Lanes, Stoke Newington, London. From the same team behind the movie-themed The Alma pub in Islington and the Alfred Hitchcock-themed North By Northwest, next to his original Gainsborough Film Studios in Islington, you can expect a traditional 50s jukebox, slot machines, old fashioned TVs, American diner-style food, Elvis Juice Brewdog Beer, live Rockabilly bands, 1950s karaoke and quiz nights. Decorated with 1950s posters and a rack of 30 guitars above the bar, diner-style booth seating add to the concept, with live sports and a late license until 2am on weekends.